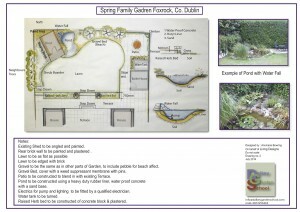 Designing a garden is a very personal affair. You want to obtain the best value for money, by choosing the correct plants for the correct conditions. I can help you. If you want to do it yourself, all the better. It is engaging with the garden that will give you the greatest satisfaction and pleasure. Understanding will allow you to gain the most from your landscape. I will try to interpret your wishes. 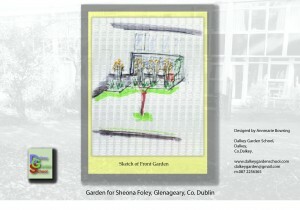 I can draw up a plan, a layout, a list of suitable plants, etc. It is your garden. I will try to make it your dream. Come to my classes and learn more or I can come to you. If you live within the greater Dublin area, we also offer garden maintenance tutorials which is a 3-hour session in your own garden where you work with an experienced gardener in your own garden. To finish, we compile a Calenderised Garden Maintenance Plan for you tailored for your garden to ensure you can continue good garden maintenance. Add life to your Garden, just look at that heat! !